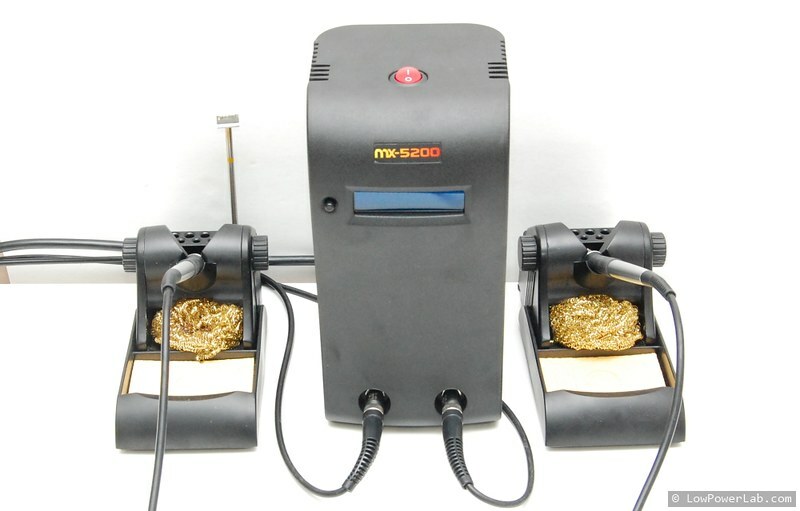 For the past few years I’ve been using this XTRONIC 6000 series solder station which cost around $120 and I picked it because it was compact and it included hot air which was always very useful for SMD reworking. 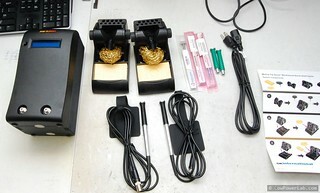 I (ab)used it and it soldered many thousands of parts at Low Power Lab. Needless to say, you always get what you pay for. The iron, would take about 1 minute to be ready for work, and for lead-free soldering I would always keep it at the maximum 480 degrees (Celsius?) and it would still take forever to heat up joints that have lots of metal mass or are part of a GND pour. And the tip being always on, it would gradually deteriorate and would need changing from time to time. But hey, for the money I spent, I think it paid for itself many times over. 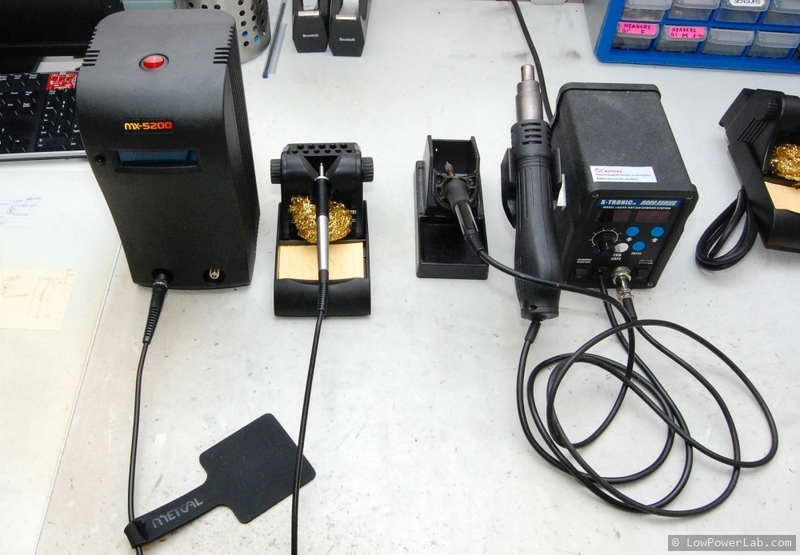 So … it’s time for an early Christmas solder station upgrade. I know METCAL is the way to go and the obvious choice was the MX-5200 Smart Heat System which allows 2 independent outputs. 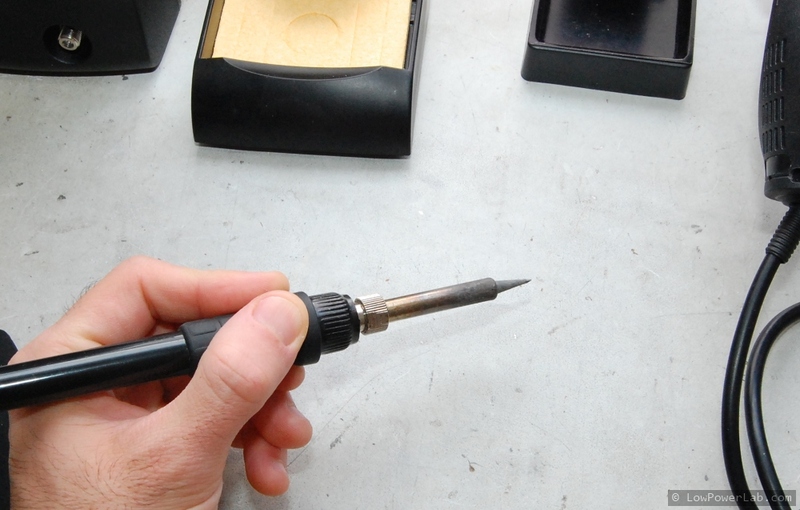 Since this particular kit only includes the hand pieces and stands, and not any tips, I bundled some of these lead-free tips (STTC-125) and also two wide blade tips for easy desoldering of wide packages (for effortless removing of radios from Moteinos). These blades alone cost more than my previous station, doh. One mistake I made in my initial order was I ordered the wrong tips for lead-free (STTC-525) and although they claim to be “lead free compatible” they would not melt lead-free solder. When all was said and done, this came to around $1200, but was it worth it? I wanted to write about this upgrade and share my experience. Here’s a shot of the unboxing and compared to the old station – which I will keep for the hot air. there are no dials, no temperature selection or anything like that, just turn it ON and it takes care of the rest. It sends just enough heat to do the job and when it feels there’s more heat needed it spikes more energy to that particular port. It’s called “Smart Heat” after all and it seems to do a great job. there is a single button that just selects between LEFT, RIGHT or BOTH ports, this way you can have both plugged in, and only heat the one you need, then switch, or use both when you need to rework something. when seated in the rests, the heat is minimized to help preserve the tip. 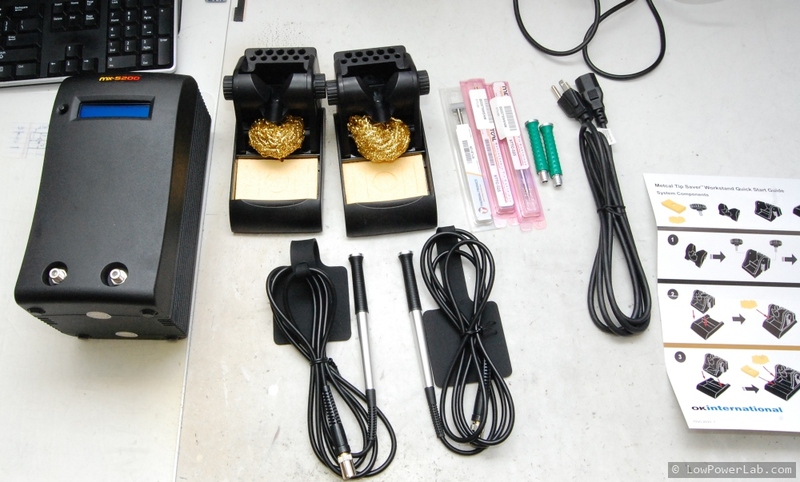 “plug and play” hot swap tips … they plug in and out effortlessly with the included rubber pads. 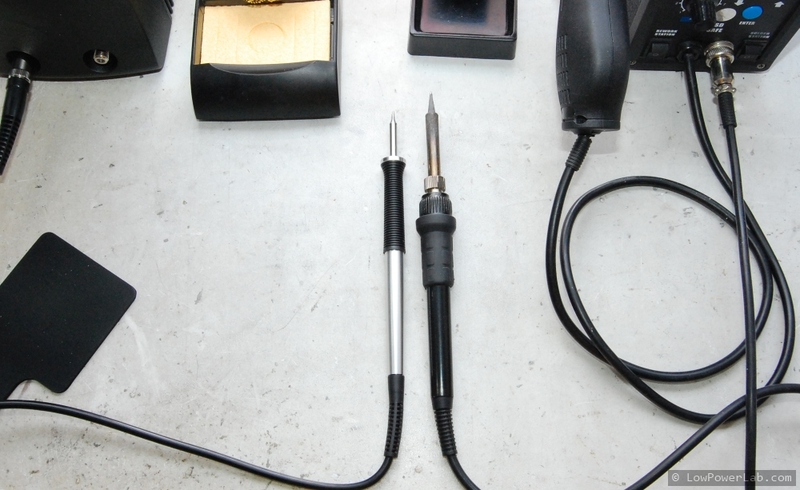 The station detects when a tip is removed and plugged back in and only applies heat appropriately. the station is very hefty and solidly built, doesn’t have that flimsy plasticky cheap feel to it, this is not a toy. has many other accesories and hand pieces that go with it for a complete soldering/desoldering/rework lineup. Expensive tools are always hard to justify, some people like to say. But I argue they are in fact FREE. Read on. They are hard to justify unless you use them every day. Then you want the best you can get so that the tool doesn’t stand in the way of your work. 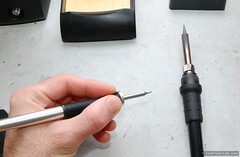 Just saving 10 seconds a solder job will add up to several hours in a year. If your time is worth anything, then a tool like this will pay itself within just 1 year, in time and neurons saved. After that it becomes free. See how expensive tools are actually free? Enough already, I think I made my case. This tool is awesome, if you got the budget or long planned to, get it, today, you will love it. It will give you pleasure to work with this tool, and step you up that professional ladder. Plus it’s the kind of tool that lasts a lifetime, well worth the investment. This entry was posted in Manufacturing, Tools by Felix. Bookmark the permalink.